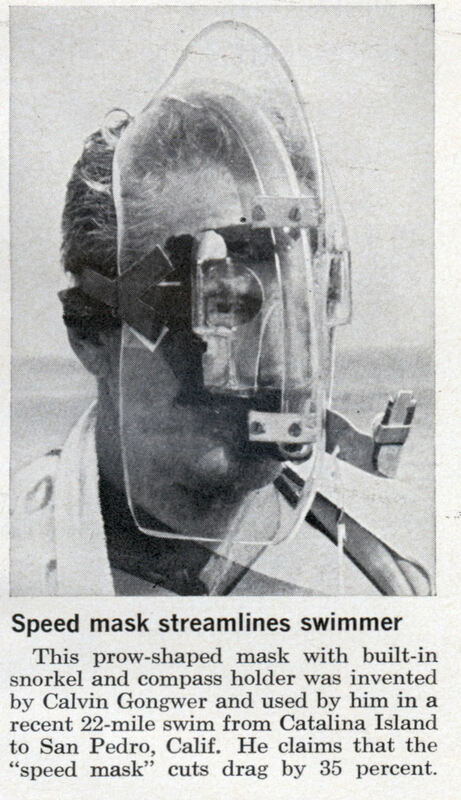 This prow-shaped mask with built-in snorkel and compass holder was invented by Calvin Gongwer and used by him in a recent 22-mile swim from Catalina Island to San Pedro Calif. He claims that the “speed mask” cuts drag by 35 percent. 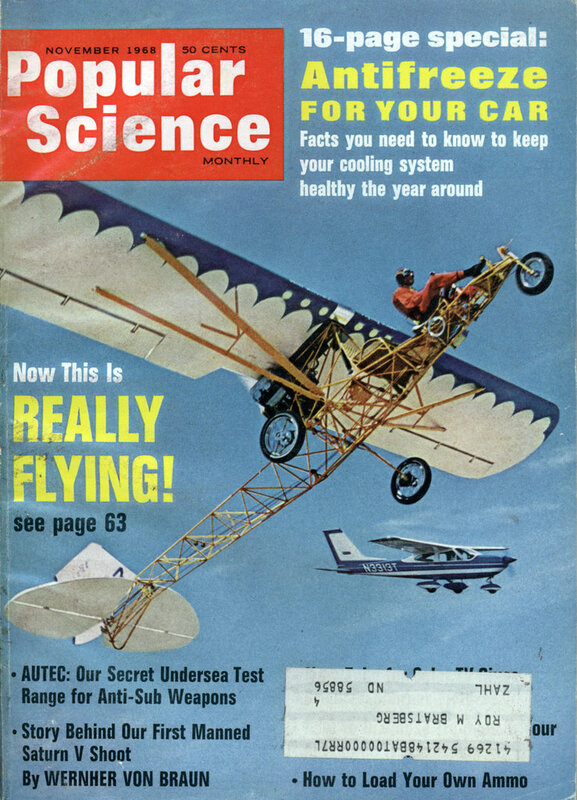 Plenty of resourceful and interesting things in your blog! Kudos.